I nailed it spot on. That heavenly warm apple pie taste (because let’s be honest, Universal Studio’s Pumpkin Juice doesn’t taste of pumpkin juice) that comes out of the adorable packaged pumpkin bottle from The Wizarding World of Harry Potter? Yes, I figured out how to copy it. I’ll give you the trick straight up. You need to simmer it. Mixing it together cold and leaving as is, doesn’t help release the spices. By heating, it infuses the spices with the juice, leaving you with a richer taste. I hauled back a bottle of the pumpkin juice from Universal’s Studio of Adventure, and sipped it as I trialled the recipe until it tasted the exact same. I’ve seen different recipes using frozen apple juice concentrate and canned pumpkin. Unfortunately we don’t get either here in Perth, so this recipe to replicate the pumpkin juice that you taste at the Wizarding World of Harry Potter is made from scratch. You can try using canned pumpkin in place of the pumpkin juice and apple concentrate instead of the apple juice, which means you might not have to simmer it for as long, but I can’t vouch for it. And while we’re at it, as adorable as the Harry Potter pumpkin bottles are, it didn’t match with the image in my head when reading the books. So you’ll find a free downloadable pumpkin juice label that I felt matched better with the book. Start by placing your half a pumpkin or squash in a baking tray lined with a layer of water. Roast for approx 40 minutes at 180C until soft when fork is pressed in. Remove from oven, cool and remove skin. In a blender, combine the squash and water and blend. You can also put the pumpkin through the juicer, following it with water (putting just the pumpkin through does next to nothing). In a saucepan, combine the 1.25 cups of the pumpkin juice with the apple juice, apricot nectar, vanilla essence, 2 tsp pumpkin pie spice and sugar. Bring to a boil then reduce to a simmer for 20-30 minutes. The whole point of this? By simmering you'll be reducing the water so it'll have a more concentrated taste and will help the spices infuse with the juices, which plays a big part in the taste. Made to fit 8 onto an A4 sheet. Where did you get those bottles from? They’re what I imagined they would look like in the books. Not that I didn’t believe you when you called it a “copycat recipe”, but I truly did not expect this recipe to come out this well or this close to the real thing at Universal! You were right; the secret truly is to simmer it and concentrate all of that spicy goodness! I made a large amount for a party this weekend, and it was a huge hit. Even those who hadn’t been to Universal yet were talking about how good it was and how much it tasted like liquid apple or pumpkin pie. I will definitely make this again on occasion just for myself! So glad it turned out for you Alannah! 🙂 I was pretty stoked when I finally got it right! How did you make it in bulk? Wondering because I want to make it for my upcoming baby shower (about 40 people). Thanks in advance! Hi Monique, I can’t actually remember what it tasted like warm, but that’s how I was sampling to make sure the taste was correct, before I cooled it down. I’d imagine it would be just as good sipping a whole mug full! 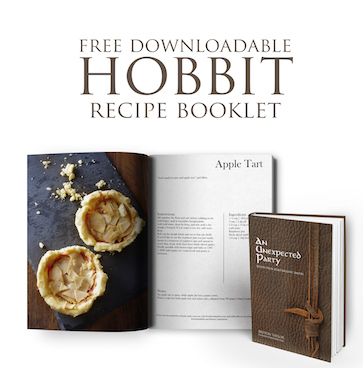 This looks like a wonderful recipe! Can you please advise how many servings this recipe yields? I would like to make it for my daughter’s halloween class party we are having. Hi Melanie, it makes approximately 1L, so about 4 cups worth. Do you remember how much half a butternut squash is in cups? Because I saw the video and the ones they sell where I am don’t seen to get that big. Thank you! I would love to try this recipe out soon. Hi! I’d say it’s about 1.5 cups worth, from memory. This is just what we were looking for! 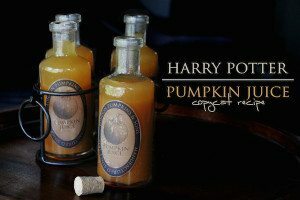 I modified the recipe a bit and put it up here http://www.tableoftess.com/harry-potter-pumpkin-juice/ on my blog. I love your website! I will fed innately try this! But may I ask why you didn’t use as real pumpkin for the oven part? I’m just curious since I don’t know much about butternut squash and pumpkins. Would it be possible to replace the squash with pumpkin? Hi Anna, We only get ‘real pumpkins’ (I’m assuming you mean the jack o lantern type) for two weeks in October here in Perth, Australia. They aren’t common here. Essentially flavour wise the butternut is as close to the pumpkin. So absolutely, a regular pumpkin should do the trick. This is amazing! Thanks you so much for the recipe and the labels for print!! I made this today and it is fantastic! Thanks for figuring this out for us! Packaging always makes it more believable 🙂 I got them as a gift, but I know I’ve seen them at a store here in Australia called Bed, Bath and Table. If I ever find something similar online, I’ll add a link. I think I”ve seen bottles like this at World Market – or Costco, depending on where you live. Thee pumpkin juice at Universal is horrid and at $8 a bottle a huge rip off. I’m dying to try this out, having never really taken the plunge of trying pumpkin juice in the WWoHP – $8 is really pretty steep, especially when there’s Butterbeer about – or Fishy Green Ale, which is also amazing. I’m in the UK, though, and can’t find Apricot nectar in the shops – is there a sub that I can use that may be more easily obtainable? Or should I resign myself to ordering some online and having to wait? ooh I’m not sure what you can replace it with, I’ll have a think and get back to you on that! If you can find and Indian grocery, you might have some luck there, I got mine in that section of my international grocery. By apple juice, did you mean store bought or home made? And either way, how would the flavor be affected? I just wanted to know before I try this out, thanks in advance. I used store bought, so can’t say personally what homemade would taste like. Hi Isabella, for a pumpkin pie mix 4 tbsp ground cinnamon, 4 tsp ground nutmeg, 4 tsp ground ginger and 3 tsp ground allspice. Use what you need and store the rest in a small spice container 🙂 Re squash or pumpkin, either works, but would need to be butternut squash, or the sugar pumpkin. These have the natural sweetness that it needs. I’ve seen apricot preserves used in some pumpkin juice recipes online instead of apricot nectar. Might be a good subsitute for the nectar. I am so sad that you don’t have canned pumpkin! It comes from sweet squashes that are not the jack o’lantern variety – and it’s so versatile and tasty and simple. Thanks for the recipe! I made this recipe twice last fall for two different parties, and it turned out soooo good. I’ve been to Universal three times and have gotten pumpkin juice every time, and when I drank the juice from this copycat recipe I seriously felt like I was back in Florida! It’s a spot on recipe to me, and I came back to the website to make it again this fall season for another party in a couple weeks! 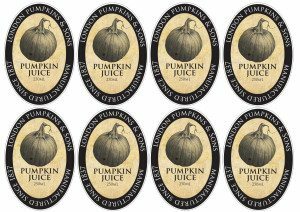 Iced or warm, the juice is so delicious, even if you haven’t tasted the Wizarding World pumpkin juice! It’s fairly easy to make too, all in all, AMAZING JOB BRYTON! I want to make an extra large batch of this for a party, how long do you think it would last? i’d like to make it a few days ahead of time but i don’t want it to lose it’s flavor/over saturate? Bryt, you are brilliant!! Thanks so much for this recipe, which mimics perfectly the Universal version. We went there just after Diagon Alley opened, last summer. I LOVED the Pumpkin Juice, and it has been haunting me for over a year. We have mail-ordered it a few times, but it’s so expensive. This recipe tastes just like the real thing. So happy I found your wonderful website and this excellent recipe. Thank you! The family and I went to harry potter at universal over the summer and I have been wanting this ever since. Just made it and it is perfect… Will be making it for all the holiday gatherings. I just bought 2 pumpkins. Then i found this recipe. Would it be okay to use pumpkins instead of butternut squash? Hi Tina, Yup pumpkin is fine 🙂 I’m only using butternut squash since that’s all I can get here. This was a perfect offering for all the kids at Thanksgiving–although my husband wanted to take some and add sparkling wine for a pumpkin juice mimosa. I froze the other half of the pumpkin juice base and will use it for Christmas–by popular demand. Both my kids declared it a perfect equal to the Three Broomsticks version at the WWW of HP, which we visited this spring. Glad to hear they loved it! Great recipe, though I have to say I thought it was a bit more spiced than the Universal version. Mine also ended up a bit thicker bodied than I remembered. Perhaps my use of canned pumpkin contributed, but I found I was able to thin it out by adding apple juice- it’ll take quite a bit before without becoming overly appley. Can’t wait to serve this at my daughter’s Harry Potter themed 8th birthday this weekend! Hi. I actually can’t seem to find Apricot Nectar here… Do you recommend anything else? Like a substitite or even a way to make it? Love the recipe anyway! Hey Brynjulf, I did a search online and found this recipe for apricot nectar http://thefarmgirlrecipes.blogspot.com.au/2011/08/apricot-nectar.html . Hope that helps! I will be trying using Apricot preserves and adding some water, blending it up and skipping the sugar in the recipe. Hope it works! I am allergic to apricot? what is the closest substitute to keep the flavor true? 🙂 thank you!! No promises on what I can find, but I’ll look into finding something else to replace apricot nectar. My wife wanted a Harry Potter themed birthday for her 30th birthday yesterday. This is one of the things I made, and it went over great. Most people thought it was crazy, but everyone that tried it seemed to really like it. Thanks for the post! I love this! I just went to Harry Potter world in Hollywood, and I’m suffering from major withdrawal. Cant wait to make this for myself to pretend I’m back! Hope it helps with the withdrawals Marina! I think you’re an aussie, like me, so maybe you can tell me exactly what you use? Also I”ll be making this juice in a juicer, so what do you mean ‘follow with water”. one piece of pumpkin, 1/4 cup water, one piece of pumpkin, 1/4 cup water – put those into the juicer like that? I dont want to put too much water – dilute the flavour (or too little – stodgey juice) – your guidance here would be great. Hi Rebecka, I used the one in the can- “Berri Canned Apricot Nectar With 35% Juice”. I found when I put just the pumpkin in, it didn’t go through the juicer well, so it needs water behind it to push it through.So yes, exactly as you’ve said. Can’t wait to try this! Just a note to those wondering why you are using butternut instead of real pumpkin: Libby’s Canned Pumpkin the ubiquitous fall grocery store staple in the States is made from butternut squash. Probably for the same reason you mentioned…pumpkin is very seasonal. i used canned pumpkin puree and added 2 cups water after simmering and it was AMAZING. it looks nothing like the stuff in universal but tastes EXACTLY THE SAME. I made this recipe, I thought it was pretty good. It was a bit intense for me, a little too sweet. It looked exactly like in this picture though and from experience I’d have to say it’s quite similar to the one from Harry Potter World, sweet though. I think it’s possible that I might have boiled it too long. A greater ratio of pumpkin juice might have been good too, just guesses though. Either way, thanks for the recipe. I’m glad I decided to make it and I would alter it slightly and make it again. It got good reviews from my family that like sweets more than me. 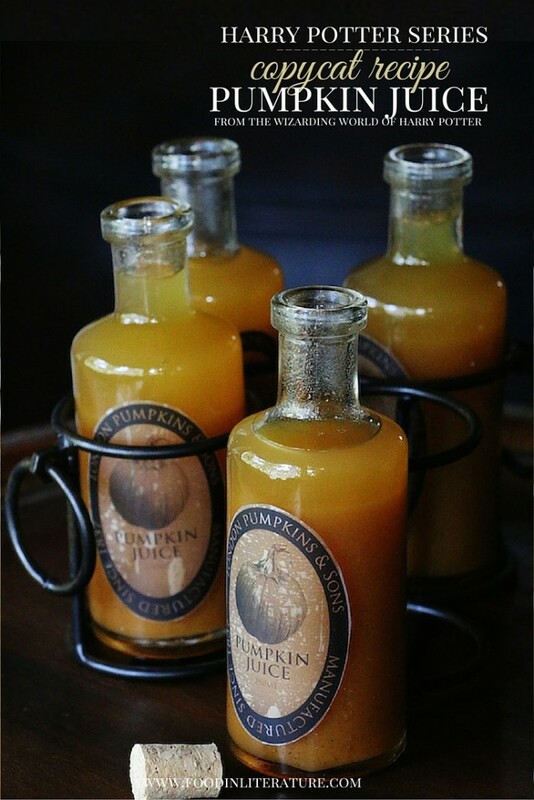 I just made several gallons of this stuff and it’s truly amazing, I used a pumpkin instead of a squash but it turned out very similar to the original as I sipped the universal studio punkin juice to compare, my batch turned out a bit sweet I may cut back on a bit of sugar next I make it but is amazing warm as well! Thanks for this amazing recipe! Will definitely make again! Thanks for the recipe! We will try to make this in Germany. Currently imbibing a Roadsmary Baby (pumpkin ale), which made me wonder about pumpkin juice, which led me here. I am so impressed by your effort and dedication, I must try your recipe. Thank you. Now… any ideas about butter beer? Is the pumpkin juice called for in the recipe just the water left in the baking dish? If using canned puree pumpkin would you just add more water? Loved the one in Universal. Hi Belinda, not the leftover water. It’s made by blending the pumpkin puree and some water together. So yes canned pumpkin is perfect, and so much easier! I love the thoroughness of your recipes! I’d like to try making this and butterbeer for a Harry Potter party I’m having. Do you know how long they last when refrigerated? I’m trying to make as much as possible in advance. Thanks! When you say half a butternut squash, can you estimate how many cups this would be? I harvested some cheese pumpkins and have them blended and frozen in ziploc bags of one cup each. I’m not sure how many I would want to mix with the 2 cups of water. I’m planning to make a huge amount for a party this weekend, so the advice is appreciated! Hi Rob, I’d say it’s about 2 cups worth of butternut squash. Ok, so equal parts. Thank you SO much! A quick question: Since the main idea is just to get the pumpkin soft, before blending with water, would it be OK to pop the pumpkin (cut into chunks) in the microwave, to soften? I’m assuming so but figured I’d ask. This looks great! I haven’t had pumpkin juice, but I’d like to. Question: if I were to use a pumpkin instead of a butternut squash, do you think it would have the same taste? Also, should I use a jack-o-lantern pumpkin or a pie pumpkin? Yes, using pumpkin will taste similar. Pie pumpkin would be best, though. Enjoy! Fantastic Recipe! I made two double batches for a party for Halloween and it came out perfect. The only thing I would recommend, if you want to use pumpkins for pumpkin juice there is an easy way to get pumpkin juice with very little cleanup and still have the meat left for baking other goodies. I roasted 6 small to medium pie pumpkins in two sheet pans (note these are not jack-o-lantern pumpkins) with a touch of water in the bottom (about 1 half cups), but ended up only using about one pumpkin per batch. After scooping the meat out I noticed a substantial layer of juice (this is not including the water from the pan). To extract actual pumpkin juice I used cheesecloth folded so there were 4 layers and added about 1/4 of a cup of the pumpkin to the middle and squeezed the hacky sac sized ball releasing the juice. It was quite fun and created the very essence of pumpkin without the pulp. After turning out the remaining pulp in a separate bowl for baking with later, I repeated until I had enough juice. I was getting about 1/2 a cup of juice per ball. Just an idea if you would like to use your pumpkins for this recipe, though you could probably do the same with the squash. I hate cleaning blenders and found the clean up easier and I have squash for other recipes cooked and ready to go. I can’t remember if I reviewed this or not but I’ve made it for the past few years. I love it and I hate anything pumpkin. I got some jars like she has kind of but I got mine at the dollar store and they come with corks. I live in California. Also IKEA has something similar as well. Anyhow this recipe is amazing you did amazing coming up with it.